The decision is extremely disappointing but not surprising. This is how the labor group Partido Manggagawa (PM) reacted to the Supreme Court verdict rendering legalities to the imposition of martial law in Mindanao. “There seems to be an established judicial pattern here. 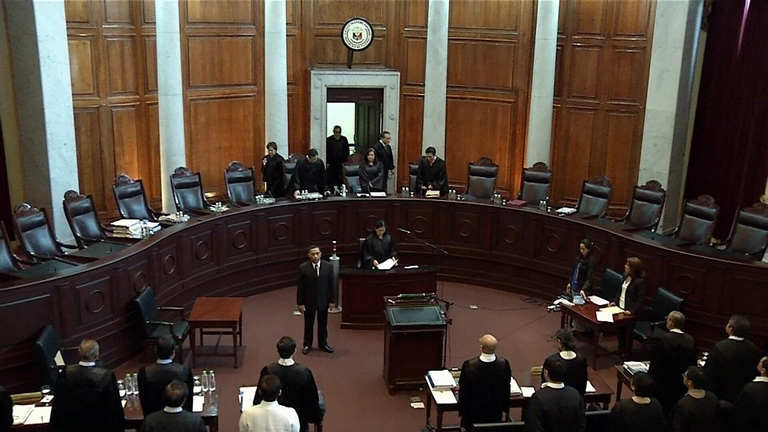 The majority justices who didn’t share the agonies of martial law victims have only seen the legality of the Marcos burial at the Libingan ng mga Bayani in the absence of an express law prohibiting it. In the same manner, these justices may have only seen the exclamation point in Marawi to support the President in suppressing a pocket rebellion through martial law,” stated PM Chair Renato Magtubo. The group reiterated its concern that placing the entire Mindanao under martial law may result in more human rights violations, massive dislocation of communities, and further destruction to properties and social infrastructure due to violence and prolonged military actions until the entire island is cleared of state enemies. It also warned the palace not to utilize martial law as a tool to suppress civil liberties. “Legally martial law does not suspend the free exercise of human rights, except for those who would be directly charged with the crime of rebellion or invasion. But if a culture of impunity can reign today even without martial law, how far can it go under an emboldened commander-in-chief and the police leadership who mocks and vilifies human rights to the max?,” asked PM. The death toll in Marawi is still on the rise while the destructions due to war have created a humanitarian crisis comparable to the previous wars in Mindanao. “If the picture of Marawi and the tens of thousands of bakwits who fled away from it will become the generalized condition under martial law in different parts of Mindanao, then the policy can neither be just nor beneficial to both the Muslims, Lumads and Christians in the long run,” added PM. The group, however, clarified that it is for the ultimate reign of peace and prosperity in Mindanao and that these can only be achieved through social development and political settlement of different conflicts. “The military solution was the dating daan that failed Mindanao and the entire country. It should not be repeated. It should not be extended. A repeat and extension of it will only benefit the terrorists who also crave for blood and violence to fill our land,” concluded Magtubo.